Top Hair Highlights Ideas for Spring. Multi-tonal hair has gone under our radar for the blooming season. Experiment with the following top hair highlights ideas for spring. Need the season's best beauty update options? Go multi-tonal! This is one of the latest tips of professional hairdressers who experiment with the visual impact gorgeous highlights and lowlights can create. Find out how to rock the transition from a blocky hue to a voguish multi-tonal look. 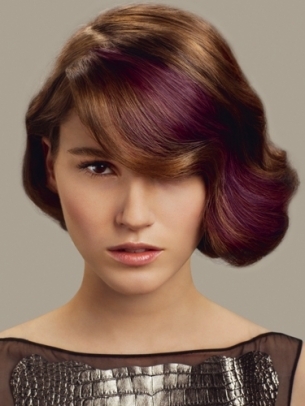 Browse through our review of the top hair highlights ideas for spring. See how lifeless tresses come to life with a few simple coloring options. Shiny and naturally-looking highlights will inject vitality and sheen into your strands. On the other hand, you can also experiment with loud and proud hues which radiate modern edge and an adventurous attitude towards the hottest hair dyeing trends. Stock up on shine serums and color-protective formulas to maintain the long-lasting radiance of your new shade. Enhance your existing color with complementary shades. Go 1-2 shades darker or lighter when it comes to highlights to nail down a modern and ultra-sophisitcated hair design. 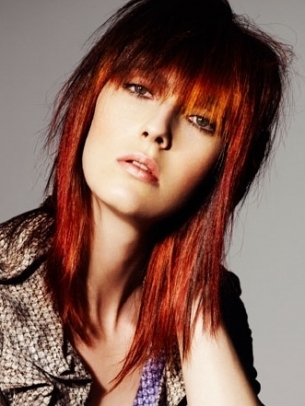 Consider the too-cool-to-miss red and blonde tones you can easily incorporate into your hairdo. Add variety to your tresses with a matching shade. Play with the visual impact multi-tonal hair creates and see how tinted strands can infuse volume and definition into your short, midi or long crop. Look for hair coloring kits which contain high-quality formulas and the best dyeing tools to guarantee the successful outcome of your beauty makeover. Style your locks using a few creative ideas offered either by your favorite celebrities or pro hair stylists. Make your highlights stand out by using only color-protective conditioners and shampoos. Add warmth to your base shade with amazing red, gold and brown tones. However, you can also distance yourself from traditional looks to rock a statement-making hairdo. In this case it is a must to try your hand at purple, pink and orange shades which dominate the runway and the streets of the most influential fashion capitals. 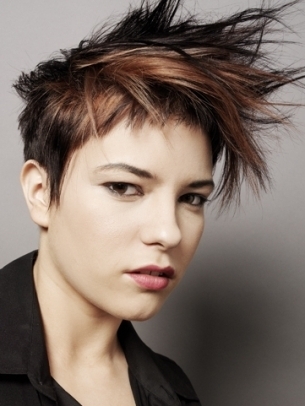 Get out there and glam up your current color with similar funky hair highlights. 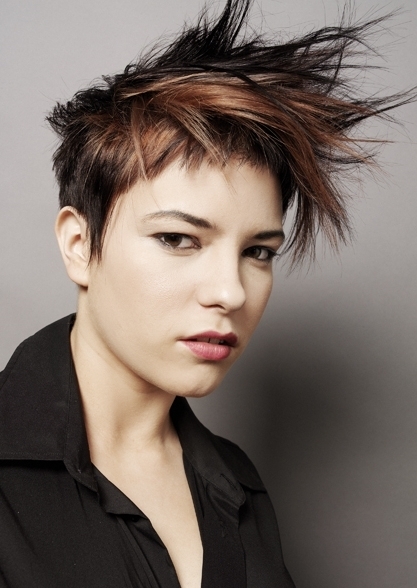 Before making a dramatic change in your look, ask for expert advice or experiment with virtual hairstyles.